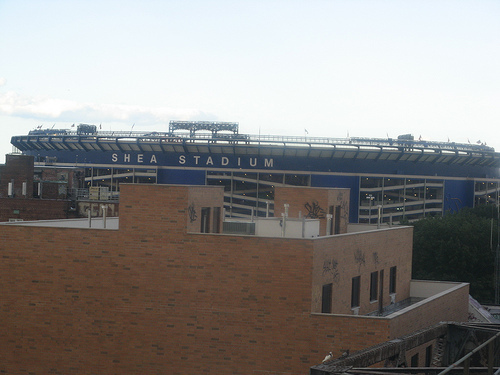 Shea Stadium (taken from 7 Subway), Flushing Meadows, Queens, NY, September 10, 2008. (Gary Dunaier via http://farm4.static.flickr.com/). In public domain. For me, the 6’s are ’76, ’86, ’96, and ’06. 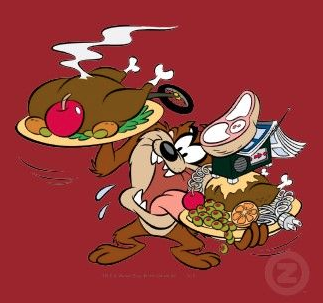 For 2016, all I’ve done today is make BBQ chicken legs and thigh (after an hour of so of marinating), corn on the cob, mac and cheese, and New York Style blondies with chocolate chips and walnuts. It’s a rainy 240th anniversary of America’s independence from the United Kingdom of Great Britain, England, Wales, Scotland, and Northern Ireland. About as dreary the Mid-Atlantic and the nation, really, can be during an election cycle. It wasn’t that way for most of my on-the-6 Independence Days. I’ve talked about my first one, the bicentennial of 1976, the summer of “baseball, hot dogs, apple pie, and Chevrolet.” That Saturday down in a ship and fireworks smoked filled New York Harbor, followed a train ride with my inebriated father to New Haven. I slept more peacefully on that train ride than I probably did at home. At least, until the conductor woke us up to let us know we were in Connecticut. We were lucky the trains in and out of New York were free that day. Typical Pittsburgh fireworks show for Independence Day, Point State Park, Pittsburgh, PA, July 4, 2014. (http://davedicello.com/). Independence Day/Week 1996 was pretty good, if not as meandering. Me and my future spouse Angelia went to Point State Park in Downtown Pittsburgh to watch the fireworks. 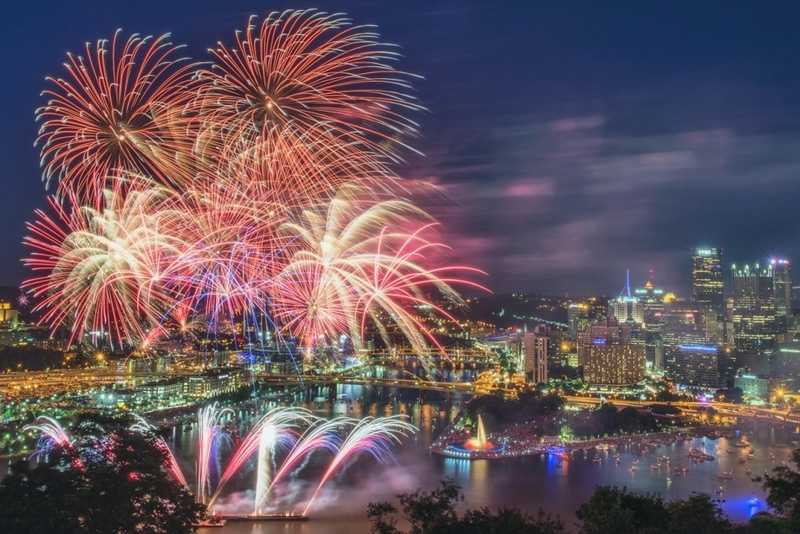 For all of the issues that po-dunk Pittsburgh has, bad fireworks shows weren’t one of them. I needed the break, after a spring of turmoil with my advisor Joe Trotter and weeks revised my then 430-page dissertation (I would end up writing seventy-five pages [net] that month while doing a second set of revisions). It rained that afternoon and early evening, but it cleared up at 8 pm, just in time for some excellent fireworks. We perched ourselves where we could see sparkles and artwork over the confluence of the Allegheny, Monongahela, and Ohio Rivers. Tuesday, July 4th of ’06 wasn’t memorable. It was my first summer working on Boy @ The Window, and I had already began planning my escape from AED and the daily grind of nonprofit work and raising money. I think we had my sister-in-law over. I made some ribs and chicken, bought dinner rolls and macaroni salad, and talked mostly about my then nearly three-year-old son and his potty training woes. Ah, the boring stability of a more typical middle-class American life! Of all my Independence Days — on a “6” year or not — one stands out over all the rest. Friday, July 4, 1986. It was the grand re-opening of the Statue of Liberty, courtesy of one-time Chrysler head Lee Iacocca and The Statue of Liberty-Ellis Island Foundation, which had raised hundreds of millions to restore both symbols of American inclusion (via European immigrants, at least) and American freedom to museum-quality glory. My Mom, my idiot stepfather Maurice, and my younger siblings Sarai and Eri went down to Battery Park by Subway and Bee-Line bus to see the grand ships and fireworks for that celebration of the Statue of Liberty at 100 years old. Dwight Gooden, aka, “Dr. K,” Shea Stadium, 1986. (Source/http://itsonbroadway.wordpress.com/2011/05/16/dwight-gooden-aka-dr-k/). Not so for me and the rest of us. 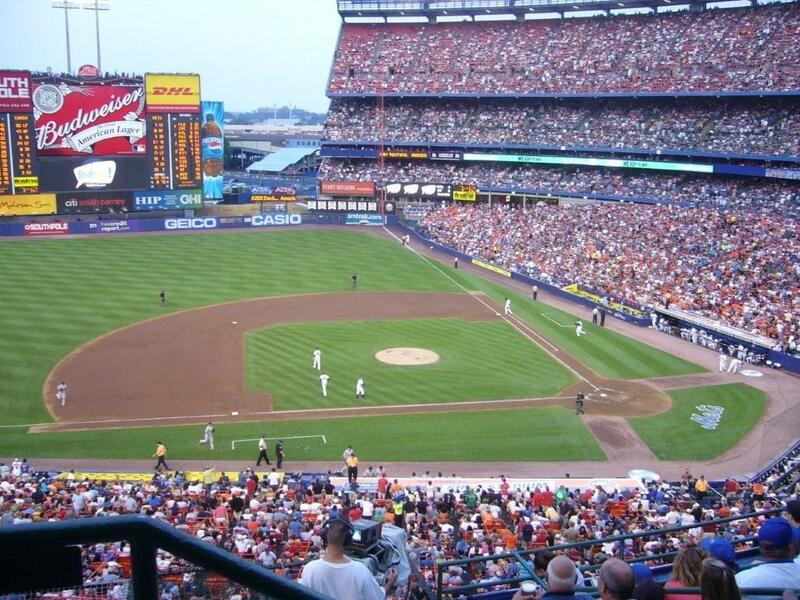 I took me, my older brother Darren, and my then near-seven year-old brother Maurice and nearly five year-old brother Yiscoc to Shea Stadium to watch the Mets play. It was either a 1:05 pm or 1:35 pm start, I don’t remember. What I do remember, though, is that was a beautiful eighty-five degree afternoon, beautiful because it wasn’t particularly humid, and there were no storm clouds to be found that Friday. 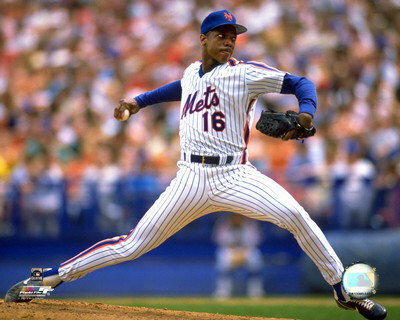 Dwight Gooden was on the mound for the Mets, starting against the all-time great Nolan Ryan. It was built up to be a duel, and it was. Keith Hernandez drove in a run in the first, and that was it until the top of the seventh inning, when Dr. K gave up a home run to Kevin Bass. Other than that, fly balls, walks, double-plays, and strikeouts were the order of the day. Lenny Dykstra drove in the game-winning run with a double to right-center field at the bottom of the seventh inning off of a reliever, as Ryan was out after beginning the bottom of the sixth giving up a walk and a hit. Despite giving up five walks and only striking out four, Gooden got a complete-game win, and 30,000 saw the Mets go to 54-21, well on their way toward their World Series title for 1986. That was already a good day. But it so much better with three of my brothers there, away from 616 and Mount Vernon, hanging out, without an adult to supervise, or rather, abuse us in some way. It was one of the first times I actually felt like a responsible adult. I took the four of us down to the city on Metro-North at the Pelham stop, rode into grimy Grand Central, took the Shuttle train to Times Square, and then the 7 Subway to Shea. Maurice and Yiscoc were so enamored with the trains and the city that it seemed all they did was stare at skyscrapers and out of train windows when we weren’t at the game. Darren, though mostly quiet, at least wasn’t staring off into space plotting some revenge on me for my “5” on the AP US History Exam while doing the Wave. It was so cheap to do what we did that day. The four upper-deck, left-of-home plate tickets we bought cost $4 each, but each hot dog was $3, and the sodas were $2. apiece Given my $3.40-per-hour job with Technisort, though, the $50 excursion wasn’t so cheap that I wasn’t thinking about sneaking a Sabrett hot dog from a street vendor in before we got to the stadium. To be sure, the hot dogs at Shea were better than my usual fare on the street or at Gray’s Papaya. It was probably the best day I had during my Boy @ The Window years. I was with innocent family members, watching my favorite team and one of my favorite players. I was lost in the humongous human mob of New York on a double-whammy of an Independence Day weekend. I slept well that evening, knowing that I’d drawn a 10 am-2 pm shift that Saturday. I planned on buying a new Walkman at the Cross County Mall that Saturday afternoon. A normal weekend for many sixteen-year-olds was a small eye-wall in the chaotic hurricane that was my life back then. 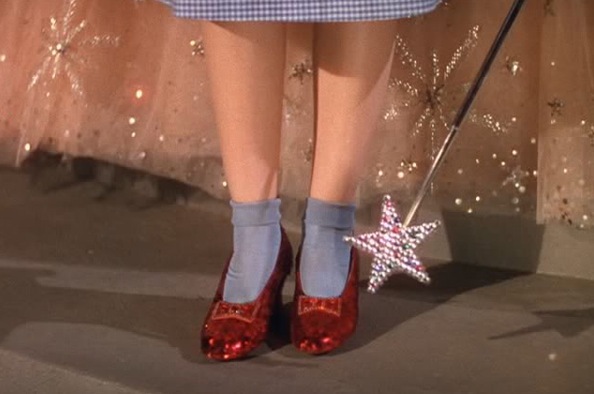 Dorothy’s heel-clicking in screen shot from The Wizard of Oz (1939), August 29, 2014. (http://vivandlarry.com). Qualifies as fair use under US copyright laws – low resolution and relevance to subject matter. Yes, the title’s a deliberate play on words. In no small part because of Facebook and Boy @ The Window, I am reminded every day of where I grew up, Mount Vernon, New York. But all too frequently, those who think they know me either assume that Mount Vernon’s so far from New York City that I seldom spent time there. Or, more recently, some have assumed that my experience of The Big Apple is a recent phenomenon, as if I only started spending time in the five boroughs when I hit my mid-thirties. Neither is true, of course. In many ways, I’m as much of a child of The Bronx and Manhattan as I am of Mount Vernon. I spent countless hours catching the 2, 3, 5 and 6 trains between 241st, Dyre Avenue, 180th, Pelham Parkway, 149th, 110th, 125th, 72nd, 86th and so many other stops. I used to know where to get the best brownies in the area, in Wakefield, at a bakery near some taxi stands and between the 238th and 241st Street stops. I could tell you which bars my father Jimme frequented, which bars he didn’t, what pizza shops had slices to die for, and what places to avoid near Times Square. I’d been to Mets games, Ice Capades, the Bronx Zoo, a Puerto Rican Day and a Pulaski Day parade, concerts at Van Cortlandt Park, even MOMA before I graduated high school. One of the reasons I could do all of this by the time I was fifteen was because of all the times Jimme had taken me and Darren down to the Bronx and Manhattan. Mostly to watch him pick up his paycheck from the Levi brothers at their cleaners on 20 West 64th or on East 59th. 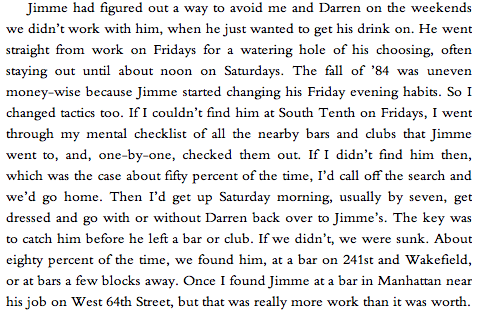 But between ’82 and ’85, I learned where nearly all of my father’s watering holes were, and on the most desperate of weekends, could track him to one of them in order to get money for myself and to help out my Mom at 616. While my classmates would occasionally take the Metro-North into the city to take in a Broadway play or go to a Knicks game, I was learning about the city in all of its varying inequalities and nuances by looking for and working for my father. Fast-forward to the end of August ’93, just a few days before I began the Carnegie Mellon University phase of my grad school and doctoral journey. I had been short on money that whole summer, unemployed for six weeks after transferring from Pitt, working as an “intern” for six dollars and hour, and nearly $600 behind on rent at one point in late June. I’d survived the eviction notice and a summer in which I learned who my truest, closest friends were. I took a few days from my personal drama to visit my Mom and my siblings at 616, and in the process, decided to track down my father for a few extra dollars, as well as to see him for the first time in over a year. It had been that long because Jimme had accused me of faking my master’s degree when I lasted visited him. 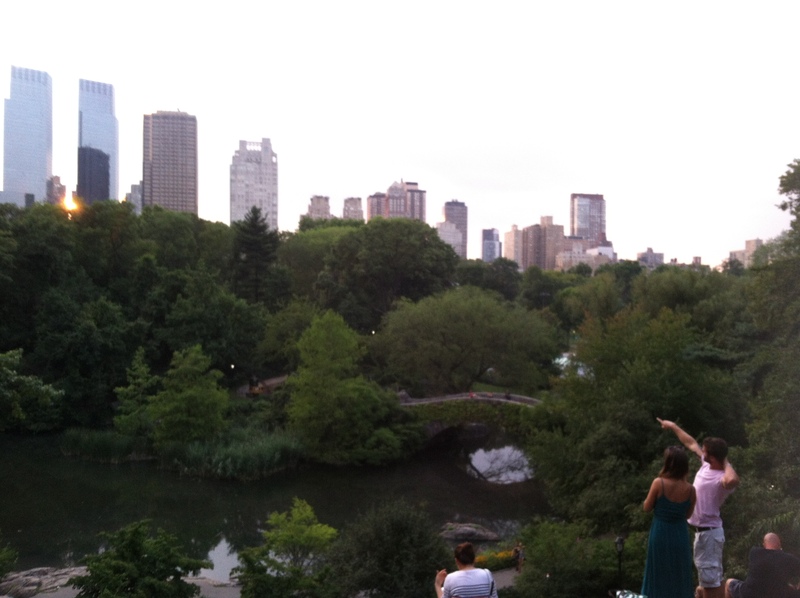 Central Park, looking out toward Midtown’s West Side, New York, NY, August 5, 2014. (Donald Earl Collins). But I wasn’t fifteen anymore. Instead of a long walk and the Subway, I took the Metro-North down from Pelham to Grand Central, took the S (Shuttle) over to Times Square, and the 1 train to 66th, and walked over to the Levi’s cleaners on West 64th. Only to find out Jimme wasn’t in that day. I then remembered that the other Levi brother had a dry cleaner on East 59th. I walked the ten blocks over there and found the other Levi brother in the midst of arguing with clients and barking orders to his Latino and Afro-Caribbean underlings. My father was doing a cleaning job for him at some high-rises down near Gramercy Park. I rode the 4 train down to 23rd Street, got my east-west bearings, and walked toward a set of high-rises near FDR Drive. Though I’d forgotten the address, I knew somehow that Jimme would be in the most expensive-looking high-rise or set of high-rises in the bunch. I found a guard, who sent me to the floor where Jimme and his co-worker John were working. “You’re not the only one who knows The City, you know” I said. It’s no wonder I feel a bit insulted when people either tell me I’m from upstate New York or that I’m not a New Yorker. I know the city better than at least a third of the people who live and work there every day. Illustration of Dante’s Inferno, Map of Lower Hell, 16th century. 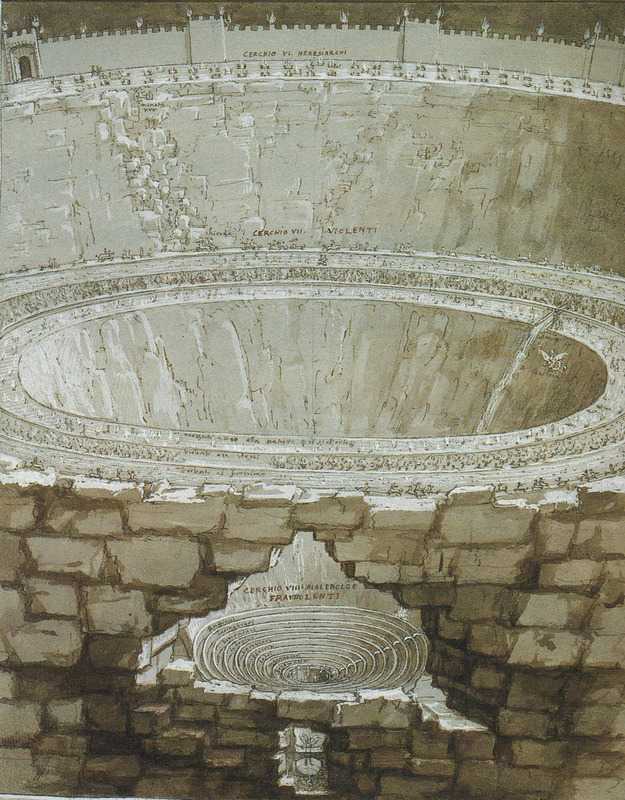 (Giovanni Stradano via Wikipedia). In public domain. I didn’t even bother to discuss Mount Vernon until I was well into graduate school. Too unknown, too complicated to explain its proximity to the Bronx and to midtown Manhattan. And from the average Pittsburgher’s perspective, it was a distinction without a difference. As far as some were concerned, Mount Vernon could’ve just as easily been outside of Buffalo as it could’ve been in the heart of Harlem. But I definitely knew better, that my relationship with Mount Vernon and “The City” was a love-hate one, born from my growing-up experiences during the Reagan years. The lens with which I viewed the New York City area, a trifocal one of race, poverty and “outsider” status, made me ambivalent about my times growing up in Mount Vernon and all of my times in New York. 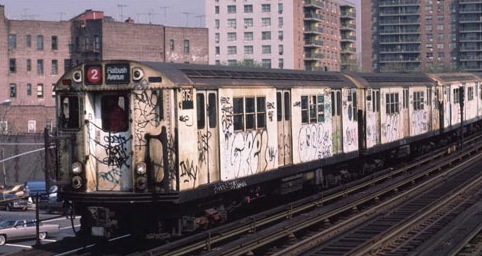 2 NYC subway train with graffiti (cropped), 1980s, December 20, 2009. (Cope2 via http://www.doobybrain.com/). Qualifies as fair use – low resolution picture. I have my father Jimme to thank, though. Without him, I would still be afraid of New York, not just ambivalent about it. Drunk or not, working or on his way to a hole-in-the-wall bar. Jimme would take me and my older brother Darren out and down to the city often enough, to ride the Subway, to hang out with him in Harlem, Spanish Harlem, and especially Midtown. Whether it was to help him with his janitorial work on weekends, or just to hang out, we frequented Manhattan and other parts of the five boroughs off and on between ’80 and ’85, ’82 — the year of abuse — excepted. Because of that year, the longest time I spent outside of the city growing up was between April ’81 and July ’83. After not making it down to Manhattan in all of ’82, we went to Midtown in July, where we learned about two of my father’s watering holes between 43rd and 47th. They were both near Mickey Mantle’s restaurant on 47th. He also had an Irish pub he’d like to go to around East 59th and Third, a drinking bar near his job on 64th and Columbus, and a couple of places near Macy’s on 34th Street. Because of our height and the times, when it was still legal for eighteen-year-olds to drink in public watering holes, me and Darren were allowed into these fine establishments. I learned a lot about vermouth, vodka, Cosmos and Long Island Iced Tea that summer. Grand Central Terminal Main Concourse in New York City, March 4, 2006. (Janke and Diliff via Wikipedia). Permission granted via cc-Attribution-Share Alike 3.0 license. I also learned a lot about the not-so-nice side of New York in those years. I recognized this as I’d board the Uptown 2 Subway from West 42nd Street and 7th Avenue in Manhattan at the tail end of rush hour. As I’d board the train, I’d notice the crunch of humanity in all of its oblivion, self-absorption, and diversity. As the doors close, I’d watch as the express train passed 50th, 59th, and 66th Street before it would grind to a halt at 72nd Street. I’d notice that a fair number of the White passengers alighted here. 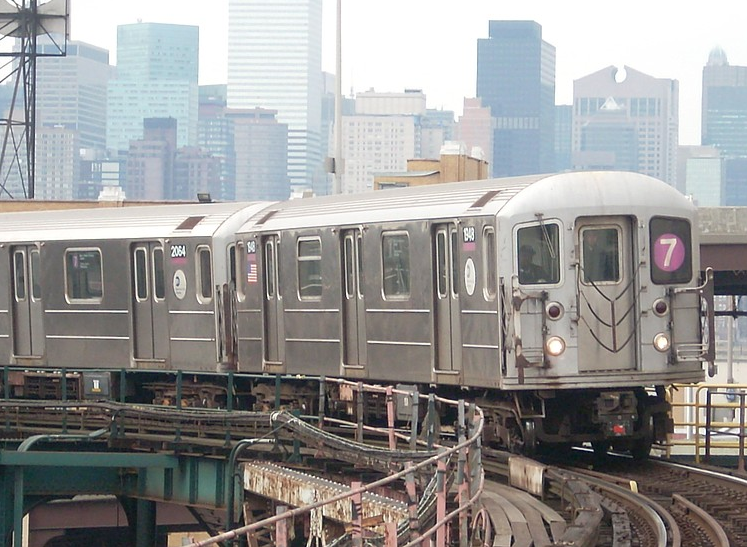 Between 96th and 125th Street, the load of the train would gradually lighten as about half of the passengers who’d crushed me between a tall, stale-breathed smoker and a woman who wasn’t my girlfriend were now at street level. About three-quarters of the passengers for the rest of my trip would be Latino and Afro-Caribbean. After another hour of endless stops in the Bronx, the 2 would pull me out of my slumber as it would slowly roll into the rickety East 241st stop. By the time I was a rising senior at Pitt, I certainly didn’t need my father to accompany on my trips into Manhattan. I also avoided the long trek from 616 across Mount Vernon to 241st to take the 2 whenever I could afford to. Metro-North was a luxurious godsend compared to the puddles of piss and infinite amounts of graffiti on the Subway I’d seen throughout the ’80s. 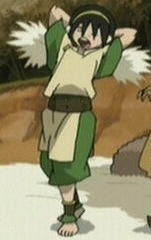 Toph’s “Hairy Pits” from Avatar: The Last Airbender (screenshot), July 26, 2012. (Donald Earl Collins). Qualifies as fair use — low resolution picture. But it introduced me to other odious issues. 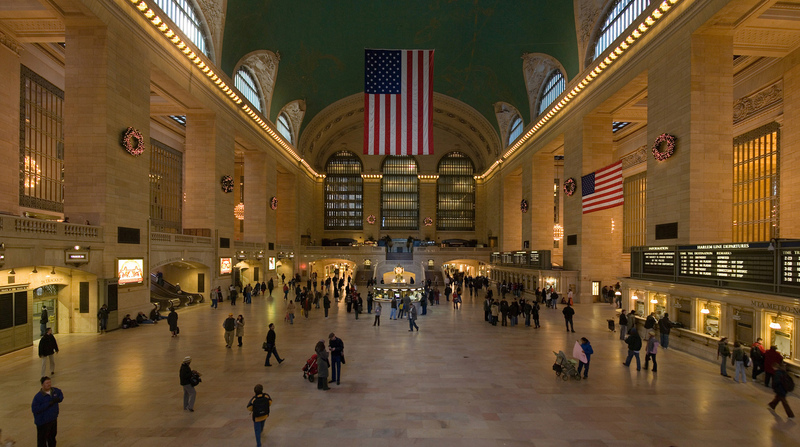 Like Grand Central Station, which by the summer of ’90 was in desperate need of renovation. Especially the restrooms, festooned with enough garbage, feces and bodily odors and fluids to make a coroner vomit. Off a return trip from Pittsburgh that summer, I made the mistake of having no choice but to use the almost unusable facilities there, which in the end I couldn’t use. Meanwhile, I observed homeless males hanging out in the restroom with carts, along with an individual who looked to have Kaposi’s sarcoma, an obvious sign of full-blown AIDS. That’s when I coined New York to be “the third armpit of hell,” the place where poverty had meant your dreams were dead on arrival. For once, it made me content that I was from a place where many smug New Yorkers disdainly considered “upstate.” Though the New York City area has changed — and mostly for the better — since ’90, it’s still a place where economic inequality can easily grind the life out of people.